Comparative Legal Systems and Their Role in Nation Building. LAW 631M. 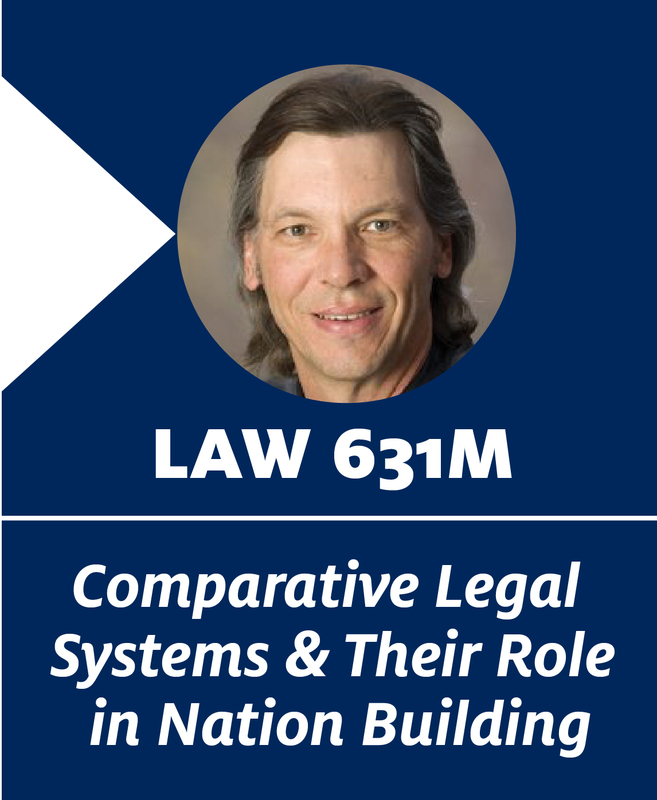 Robert A. Williams, Jr.
> Comparative Legal Systems and Their Role in Nation Building. LAW 631M. Robert A. Williams, Jr. Description: The course will investigate the role that law plays in the lives of Indigenous peoples and their attempts to secure rights and exercise self-determination. This course seeks to answer broad questions such as: “How does the law function to perpetuate a history of assimilation and racism?”; “How can Indigenous peoples use the law to secure rights?”; and “What role do legal institutions play in the process of Nation Building?” To answer these questions, the course draws from comparative sources with a focus on how the law can be used pragmatically to effect change. Instructor: Robert A. Williams, Jr.